Last weekend saw the running of the opening round of the Oder Pomerania Cup in Poznan, Poland. Conditions were very difficult as it was hot and the bumpy track had almost no traction. 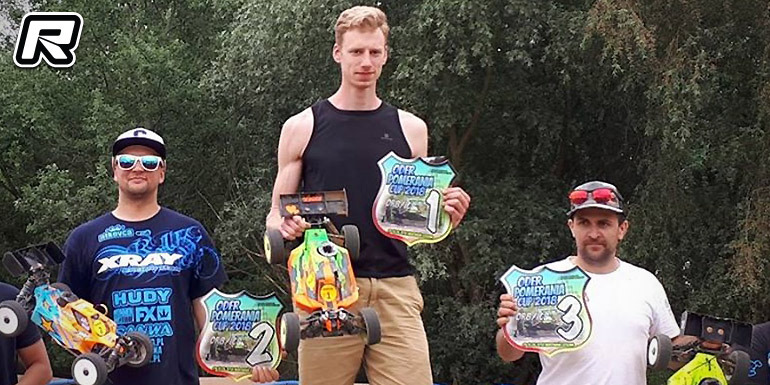 In the 1/8th Nitro Buggy class Donat Bula brought home the win from Paweł Ntkovca 2nd and Mateusz Dudzic 3rd. 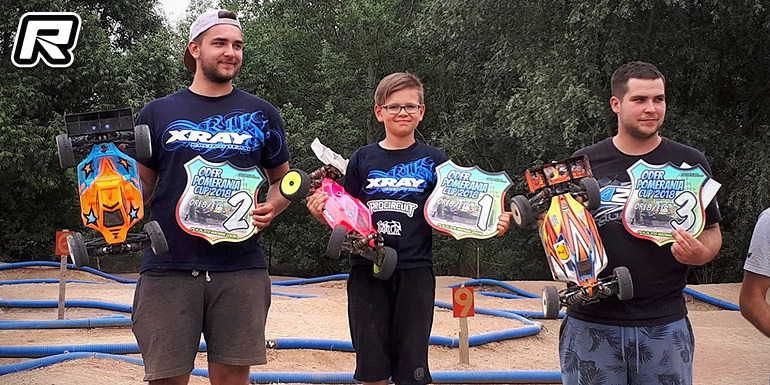 Over in the 1/8th E-Buggy class Bartosz Zalewski was super fast all day and after winning all qualifiers and the semifinal he also took the overall win after the A-main finals with Wojtek Rzepecki and Steven Nortdorf rounding out the top 3.